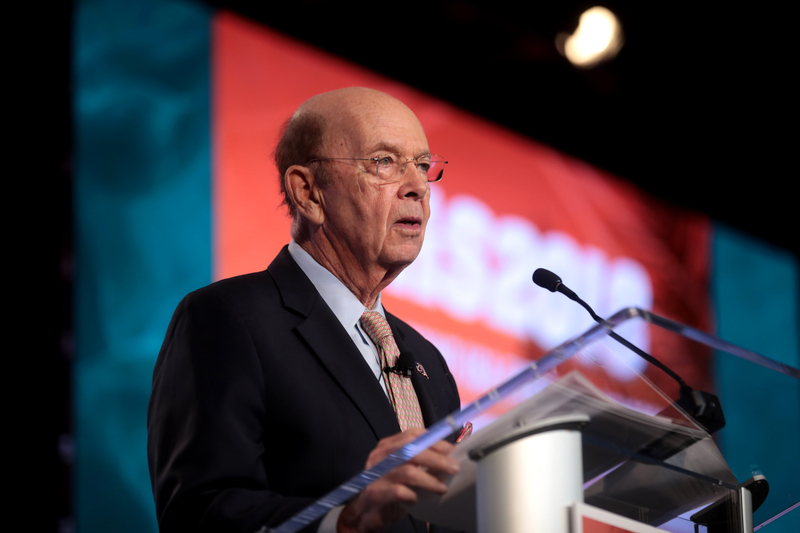 Before January 15th, Commerce Secretary Wilbur Ross’s decision to have every 2020 Census respondent answer a question about citizenship (for the first time in sixty years) lived as either a story of bureaucratic and political intrigue or a high-profile case on the Supreme Court’s docket. The bureaucratic-intrigue focus would have included a chain of events in which Secretary Ross decided early after his confirmation to add the question — skeptics would say, to cause an under-count of predominantly Democratic and minority voters. Ross then had aides find another agency to provide political cover, made arguably misleading statements to Congress that the question was triggered by the Justice Department’s need for data to better enforce the Voting Rights Act, and then tried to hide the relevant facts. Now, with Judge Furman’s lengthy and methodical January 15th judgment invalidating the Secretary’s citizenship-question decision, it is Judge Furman’s final ruling that moves front and center. That decision is significant for four reasons. First, Judge Furman’s decision provides another striking example of how administrative law can empower challengers to push back on a governmental policy they oppose. I explained in a recent commentary how the federal Administrative Procedure Act allowed several courts (including a Ninth Circuit panel) to invalidate as “arbitrary and capricious” the Administration’s proposed rescission of DACA. And, the APA has been central to other attacks on Trump Administration initiatives. Still, the Census decision is an even more textbook example of why “administrative law matters” (and so does statutory interpretation!). In twenty-six pages of close and methodical analysis, Judge Furman found four independent reasons why the APA invalidates Secretary Ross’ decision. Two of the grounds turned on conflicts with the enabling statutes authorizing Commerce Department Census decisions. Such conflicts violate the APA provision forbidding agency action “not in accordance with law.” [5 USC 706(2)A]. Judge Furman found a clear violation of a requirement Congress added in 1976, when it sought to avoid “too many questions” on the census. The statute obligated the Secretary “to the maximum extent possible” to “acquire and use information available from [other existing sources] instead of conducting direct inquiries.” [13 USC 6(c)]. Judge Furman’s rationale gets technical, but the basic point is that Secretary Ross never explained why having census respondents self-report about citizenship would be more accurate than using existing administrative records; to the contrary, the evidence in the administrative record suggested the opposite. Judge Furman also found that the Secretary failed to follow a different 1976 provision requiring reports to Congress about the “subjects” and “questions” proposed to be included in an upcoming census. Engaging in a sophisticated analysis of how three reporting provisions [13 USC 141(f)] interact, the Judge concluded that the Secretary blew through a key three-years-in-advance timeline and was not saved by another provision allowing later reporting “if the Secretary finds that new circumstances exist.” The Judge’s only hesitation here was whether reporting violations are reviewable and enforceable by courts, as opposed to Congress needing to assert its informational rights. Finally, and “perhaps most egregiously,” the Judge found that the Secretary’s rationale was “pretextual”–thus violating the APA by undermining the courts’ and public’s ability to assess the grounds upon which the agency acted. Based on the timing of the Secretary’s decision, the omission of the Justice Department/VRA issue in key decisional memoranda, and staff efforts “to conceal aspects” of the decisional process, the Judge found it “inescapable” that “the real reason for [Secretary Ross’] decision was something other than the sole reason he put forward” in the official Memorandum announcing the addition of the citizenship question. A second reason why the Jan. 15th decision is important is that it underscores how the APA can provide an easier handle for judging when constitutional bases are problematic. Just as in the DACA-rescission decisions, non-APA arguments took a backseat. Judge Furman rejected the claim that the Secretary’s decision violated the Equal Protection component of the Fifth Amendment by discriminating against “Latinos, Asian-Americans, Arab-Americans, and immigrant communities of color generally.” In so doing, the Judge underlined the difficulties inherent in constitutional equal-protection arguments. A third significant aspect is that Judge Furman’s January 15th decision will make gratifying reading for any fan of meticulous judicial craftsmanship. With an obvious commitment to get at the truth and honor transparency and the rule of administrative legality, the Judge used extensive discovery and navigated the intricacies of federal civil litigation to preside over an 8-day evidentiary trial that laid bare the flimsy pillars of Secretary Ross’s decision. Fourth and finally, Judge Furman’s January 15th decision is a case study in how lower courts and the Supreme Court interact. As noted earlier, the Supreme Court placed the legitimacy of further “probing of the mental processes” of decision-makers on its February argument calendar. At the same time, however, the justices declined to stay further proceedings in the case. The challengers elected to build their arguments without further record supplementation and depositions. And Judge Furman proceeded to enter a decision which, while noting how further information could be helpful, based its judgment for invalidation on the un-supplemented administrative record. Judge Furman’s approach gave the Court a perfect invitation to postpone the question docketed for February. After all, if Furman’s current-record-based invalidation stands, the question of whether the existing record should be supplemented is moot. As you stand by for further developments, notice how the actions of a “subordinate” can influence the reactions of judicial “bosses” and executive-branch officials appearing before them.